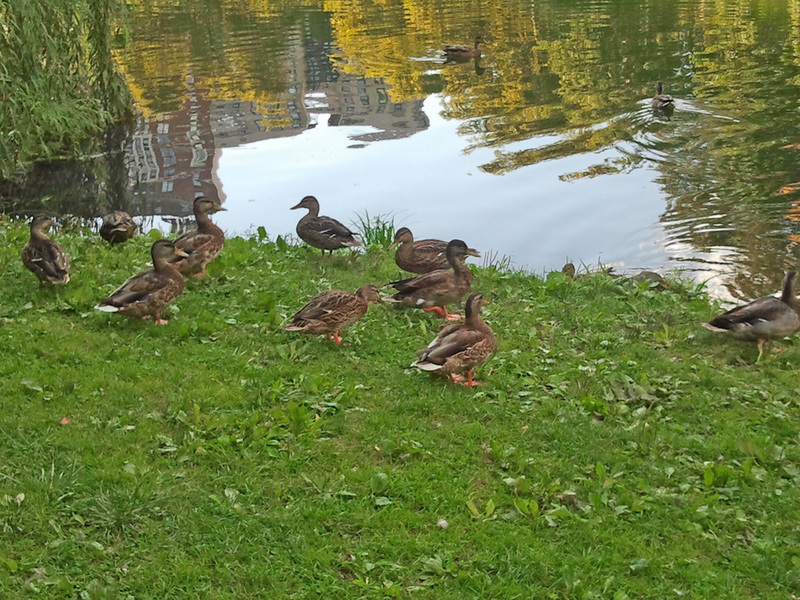 One of the many joys of having a hovel on the Upper West Side of Manhattan is the proximity to Central Park, and therefore the proximity to ducks. For the most part, mallards. Their relatives might come to visit and then take off to migrate to warmer climes, but the Central Park ducks (and the Hudson River ducks) are hardy creatures. They hang around for hurricanes, they hang around for snowstorms, they hang around for nor'easters. And they are very, very entertaining. Another joy of living in Manhattan is the opportunity to walk through the park and check out the truly great survival talent of these magnificent creatures. 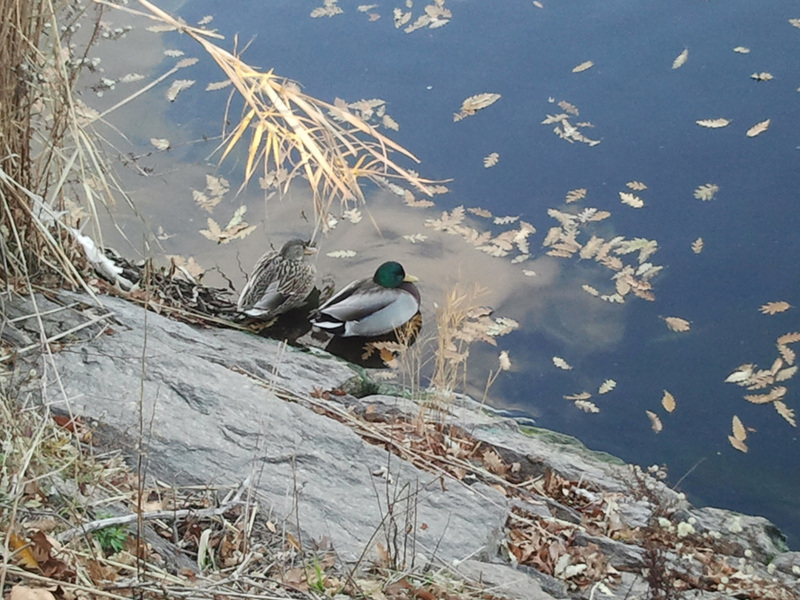 On New Year's Eve, your Chronicler took her handy-dandy Samsung Galaxy S to Central Park and recorded some of the ducks at the reservoir. It was cold, but the ducks still put on a show. The ducks are very photogenic. 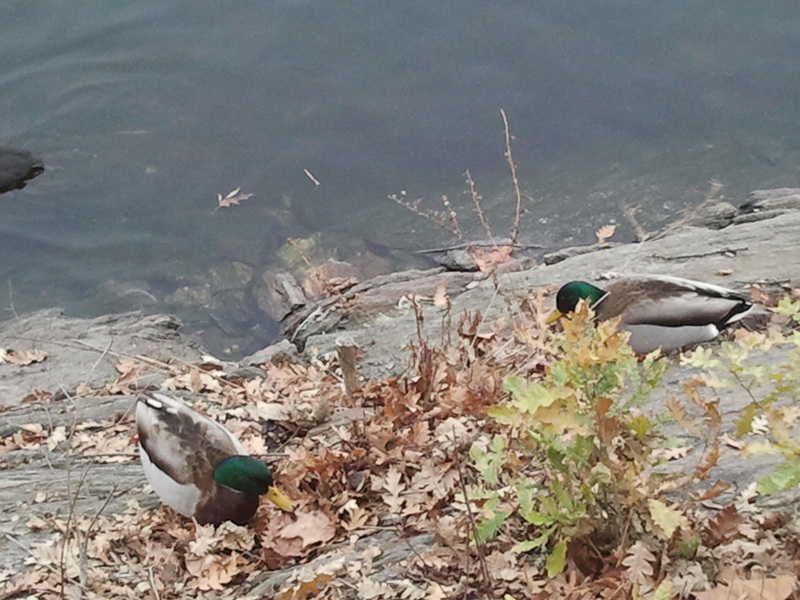 These pictures are of the Central Park ducks. Chronicler will dedicate some video to the Hudson River ducks at some time in the future. This pair was photographed earlier in the fall at the reservoir. The other pictures were taken at various times at various locations in Central Park. The ducks' sociability is intriguing. They will be moving in pairs, then suddenly you'll see a group head in one direction or another. They'll preen themselves on the shore, and dive in the water, and then seem to move as a group to the other end of the water. But when the people at The Pond start feeding them, it's every duck for him- or herself.